Born in Leeds in 1938, Norman Ackroyd RA was elected a Royal Academician in 1991 and a Senior Fellow of the Royal College of Art in 2000. A master etcher, who understands his medium intimately, Ackroyd has drawn inspiration from the coastlines of England, Ireland and Scotland to produce dramatic, atmosphere-laden etchings and aquatints. Showing complete mastery of his medium, he can use an etching plate much as others would a sketchbook to capture the momentary light, the plate worked on directly, the acid used like paint, slowing the bite by rinsing quickly. 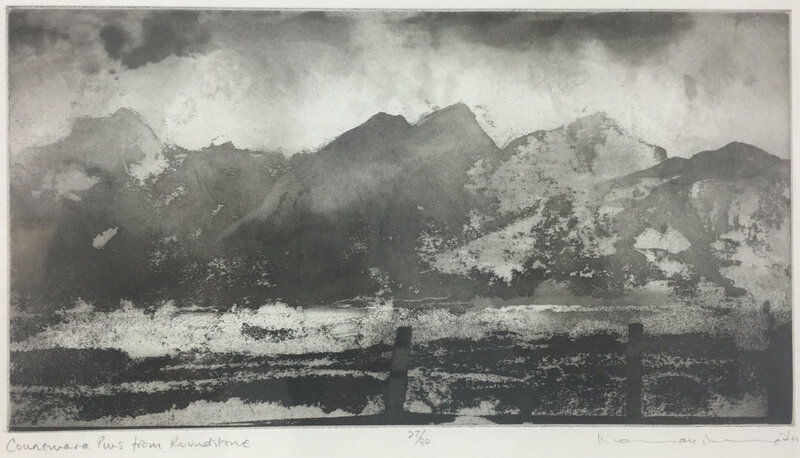 Norman Ackroyd’s work is represented in the British Museum, The Tate Gallery, the V&A, MOMA New York and in significant public and private art collections across the world.